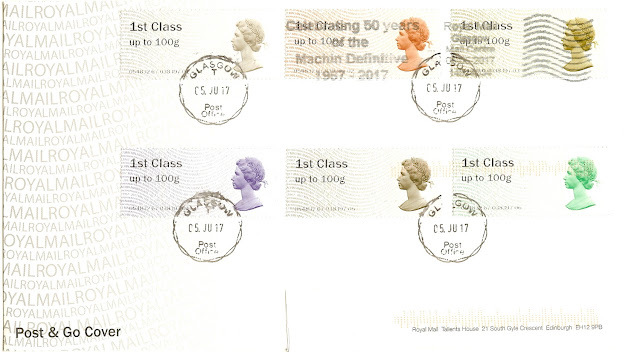 A reader anticipating the use of a Machin Anniversary slogan has been fortunate to obtain a first day cover from Glasgow Mail Centre, the Post and Go set additionally being cancelled with a Glasgow CDS. The slogan, like the one I showed for Father's Day in the earlier post, is much better than would normally be seen on Post and Go stamps. Thanks to AM for this picture! I doubt that many slogan FDCs exist. 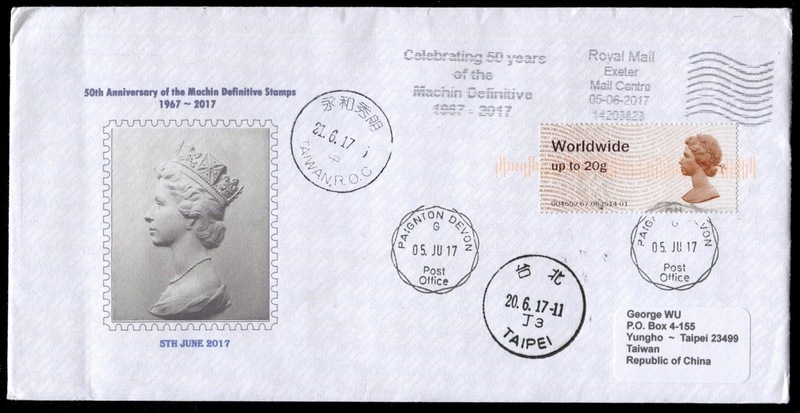 However (update), on his excellent 'ATM Collection' blog' George Wu of Taipei illustrates a cover he received from Exeter Mail Centre with one PandG Machin Anniversary stamp and the Machin Anniversary slogan. 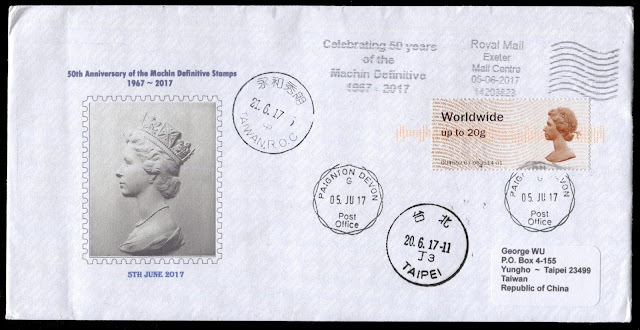 If you are really interested in machine-dispensed stamps of the world, then you probably already follow George's blog: if you don't maybe you should. Hi Ian, I dont collect slogans, but have an item which shows " Reserves Day 21 June 17 ", posted at Portsmouth IOW mail centre, not seen this one noted on the blog yet. It's mentioned, but not illustrated, here on the June slogans post.